By registering with the Viewsbank site you can complete surveys, participate in mystery shopping assignments, take polls, test products, take part in online discussion groups and other new and exciting work from home projects. The payment threshold at Viewsbank is amazingly low at just £6. Payments are sent on the first Tuesday of each month as soon as you have hit the minimum straight into your Paypal account. 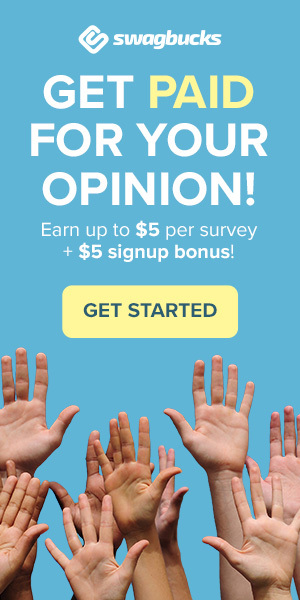 Viewsbank (previously known as Consumer Intel) is a unique market research site that not only will pay you cash to complete surveys but also for mystery shopping assignments, taking polls, discussion groups and participating in other new and exciting work from home projects. The site was originally launched in 2003 and now many household brands and large commercial organisations use their research. Online Surveys – New surveys are available on a weekly basis through your account area / email. For each one you will receive information on the reward, how long it takes to complete and the subject. Mystery Shopping – This could include online, telephone or even visiting a shop on the high street. For any mystery shopping projects that become available you will be notified via email. Testing Products – You will receive a product to test at home which you must provide feedback on. Home Research – Different tasks which require little work but you will be rewarded for. Discussion Groups – Could be a conference call or online chat where you will be require to give your views with other members. The rewards will be much higher on these than any of the above. By ticking the check boxes on your registration you can choose to take part in any / all of the above tasks. At any time you can choose to decline any task if you don’t want to do it. We recommend ticking all the boxes on the initial registration. Once you have completed the registration process in full you can login to your account to see instantly if there are any paying surveys available. If there is some there you can take these straight away and earn your first bit of money. Most assignments are fairly low paid at under 50p each but can only take a short amount of time to complete. You may be sent the occasional survey where you can earn over £1. You can also check for polls, mystery shopping assignments and other work from home jobs. Once you have completed an online survey / other assignment your account will usually be credited around 5am the following day. The payment threshold at Viewsbank is extremely low at just £6. Payments are sent on the first Tuesday of each month as soon as you have hit the minimum straight into your Paypal account. To earn more money on the site you can refer your friends using the referral link which can be found in your account. Any friends you refer must complete at least six assignments for you to earn your payment. Each friend you refer will earn you an extra £1 and this will be added straight onto your balance once all the assignments are complete. Viewsbank also give you the opportunity to suggest polls that other members will take and be paid for. This can be done via the suggest a poll page on their forum or by posting on their Facebook / Twitter page. If your poll goes live on the site then you will earn an extra £5 or if the results are published in any newspapers then you will get an extra £20. Been a member of Viewsbank for quite a while now and love taking part in the various surveys and polls. The staff are brilliant, really helpful and friendly and their surveys interesting. They payout my earnings promptly with no fuss. I would recommend anyone who likes to make a difference to consumers to join this company. I have belonged to viewsbank for a while now, i enjoy the nice short surveys, pop the dinner in the oven and earn so simple. I was lucky enough to be chosen for a shopping assignment which i received £100 for, which was very nice indeed. I have recommended viewsbank to all my family and friends. Viewsbank is a great site, it not only lets you do surveys which you are paid cash for, but regularly runs different competitions which a variety of prizes can be won. There is a forum open to members where you can post tips, advice or just have a general rant. It is so nice to see a site run by people that care about the job they do and offer the best experience to their members. I have been a member of this site for a number of years . They have lots of ways of earning money like survey that pay you from 10p to £1 and you only have to reach £6 and you can claim you money which is paid every second Tuesday each month. You can also earn more money by doing mystery shopping and even get paid for them using your name for insurance mystery quotas . All this plus weekly ideas for polls and pet pictures and many more competitions. They have a good team that will always get back to you when you have a problem I mainly deal with Robb who is first class get back to you without fail. I find they are one of the best survey company around. So join up and see what you are missing. Viewsbank is very special,it’s the most friendly survey panel I’ve found, where I can give my opinions in interresting surveys & polls & be a mystery shopper – such an exciting way to earn real pennies & pounds, not points! I’ve been a member since June of last year; had two large mystery shopping assignments and tons of small but regular surveys. Payment is prompt, enquiries are dealt with quickly and efficiently. Excellent site. A contender for being the most honest and reliable survey sites around. So easy to take part, and so free of the usual frustrations. There’s not many sites i would recommend but this one has been my best by far…i won a kindle HD last year!! plus so far accumulated over £80’s and they reward with paypal can’t get any fairer then that. You can even win £5 from posting pics of your pets, telling jokes.and from doing polls. Fun & Win your spoilt for choice here!!! Love Viewsbank a few click for my opinions, and the pennies soon mount up.Have done a few telephone survey too, well worth it. Excellent survey site of whch I’ve been a member of do a few years. I’ve had some well paid surveys and assignments and had some excellent communication from them. Would highly recommend! Having been a member for several years initially Consumer Inteligence,I have particpated in several surveys. I have always found the staff friendly and approachable almost like a family. Their payments are prompt and the surveys keep me active – keep it up! I use this site and have found it always to be a positive experience. I have been a contributor to Viewsbank (formerly Consumer Intelligence ) for some time. This very comprehensive review sums up the activity very well. I enjoy the varied surveys and have been involved with mystery shopping from which I have gained an advantage for my own purchases. The operation seems very professional with good back up help. Payment is reliable and reasonable for the effort and time required. I would recommend the operation without reservation. I love viewsbank surveys. The surveys are varied and very interesting! The money quickly adds up too. I once earned £100 for a mystery shopping assignment which was fun and a great bonus bit of cash! The forum is also interesting too. I Love using views bank the surveys are short and you earn cash quick. would recommend this site! A professional, exciting and innovative collector of consumer intelligence.Ranging from mystery shopping, personal opinions to regular online surveys.A well rewarded and enjoyable hobby to pursue. Viewsbank is and excellent site been a member for a while now just buy referring friends they give you a pound the surveys are so simple and very good topics 5 star rating. This is a great survey panel to belong to, the surveys are short but very reasonable rewards are paid for the time taken for completion. The forum also really makes you feel that you are part of a great community, highly recommended. I have been a member of Viewsbank / Consumer Intelligence for over 5 years now. It is by far the best site for rewarding short surveys / Mystery shopping / Polls and competitions. Payments are always made directly into your paypal account the second Tuesday of the month and I must say that I have never had to call or raise an issue regarding payments or surveys completed not being paid for etc. I recently carried out a mystery shopping expedition to Luton to mystery shop the prices for home insurance at 6 high street Banks. Not only did I purchase Home insurance from one of the banks saving over £133 from my renewal quote, I got paid £100 for completing the Mystery shopping task. Absolutely brilliant Thanks very much !!! Viewsbank!!! Viewsbank used to be called Consumer Intelligence and offers a good variety of surveys, coupled with friendly efficient service. I can recommend the site, having joined them several years ago. I have been a member of Viewsbank for over two years. They offer a regular supply of short surveys that are easy to complete and for which you are well rewarded. What’s more they pay you into your bank account every month. There are also more opportunities through mystery shopping or using your own name to obtain insurance quotations to earn even more money.Highly recommended. I’ve been a member now for quite a while and it is rewarding with some quick short surveys to complete as well as some interesting mystery shopping ones which pay really well. I’ve been a member of Viewsbank for about 18 months now. I’ve had loads of interesting online surveys to do as well as 1 mystery shopping assignment. As a senior citizen I find the surveys interesting and a chance to contribute opinions on many subjects. Some of them I would do even if I wasn’t getting paid. Keep them coming Viewsbank. Very interested but feel there must be a catch. I have done other surveys and after spending a lot of time you are told it didn’t qualify. They had the survey and I got no payment.